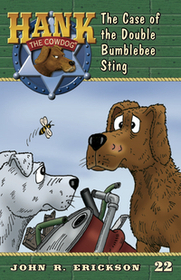 While Slim and Loper are away from the ranch for three days, Hank suffers from - is it a double bumblebee sting, or much worse? It falls upon Sally May to nurse the stricken Hank back to health. Her patience and compassion are seriously tested, while the afflicted Hank endures humiliation at the hands of Pete, Wallace and Junior, and an insulting veterinarian. Does Sally May care after all?